Irish Rugby: A cut above the rest, as they find answer to French ‘beef’. 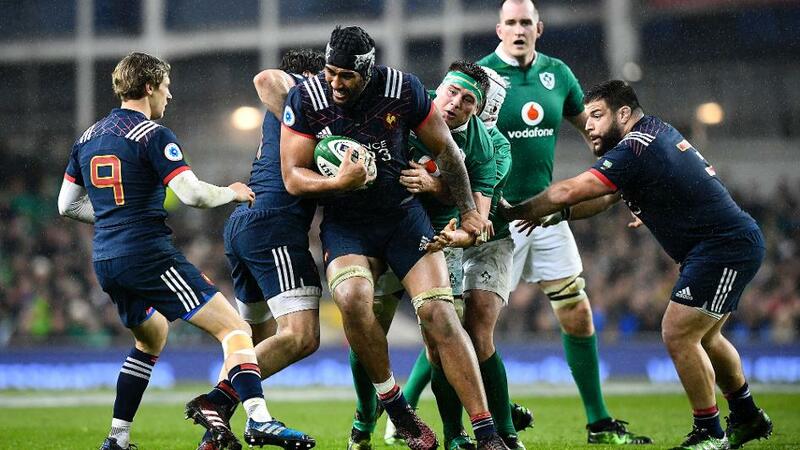 Ireland courageously beat the French this weekend at the Aviva Stadium, finishing the game Ireland 26 – 14 France. Since the boys in green found a way to deal with the notoriously large French pack, we thought we’d take a look at how ‘beefy’ (see what we did there?) some of these French players are and compare them to some other man mountains around the world. Uini Atonio would have well stood out as the heaviest player on the pitch, so it was fortunate for Ireland that he was unable to play due to injury. 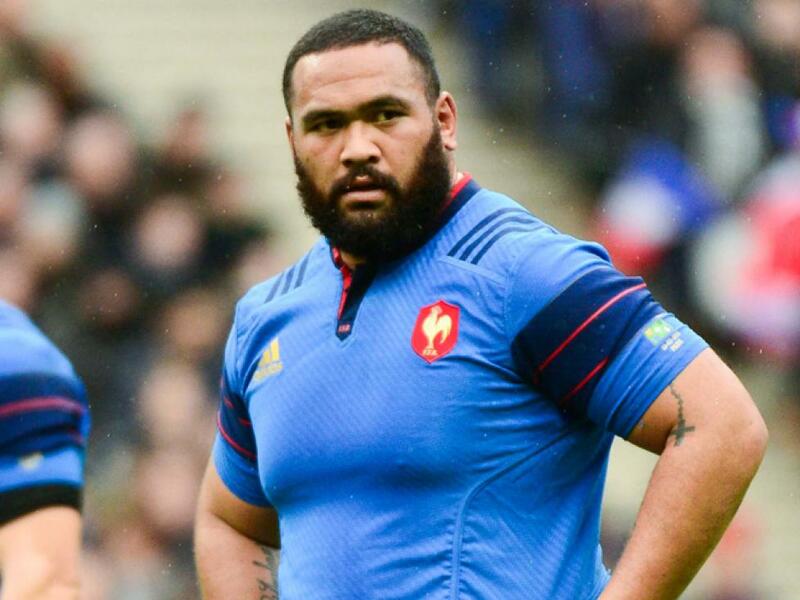 The monster French prop is the current heaviest player in world rugby. 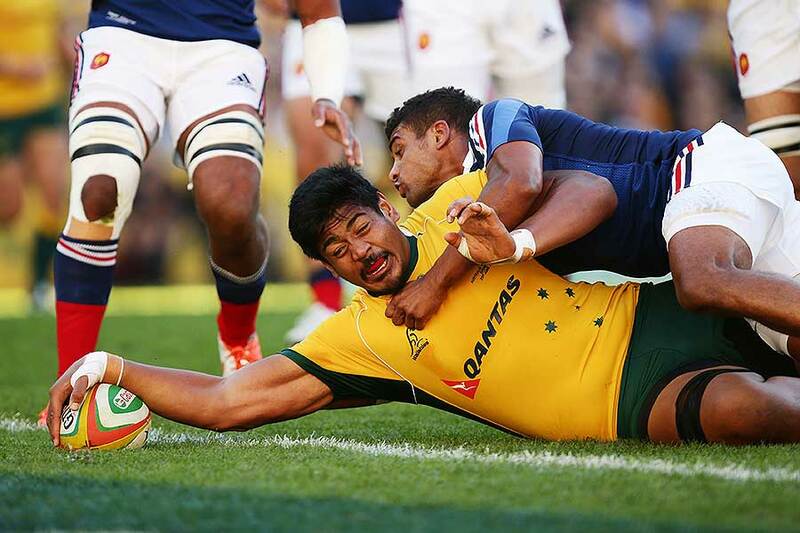 Atonio, who was born in New Zealand, is 6ft 6 tall and 145kg and is a daunting prospect to try to take down! The player had to get a special rugby jersey made for him for his Test debut against Fiji at the end of last year as there were no sizes to fit his considerably ample frame. To put it in context, while we pride ourselves on our wide, abundant selection beef, we would have to find 5,100 ounces or five hundred and ten 10oz Ribeye steaks to match his weight. A man mountain for sure. Sebastien was born on 21 October 1991 in Nouméa, New Caledonia (a special collectivity of France in the southwest Pacific Ocean). He lines up in the second row or backrow if needed and currently plays his rugby with Clermont Auvergne in the Top 14. He began his career with Brive before moving to Perpignan from 2011 to 2014. Standing over 2 metres tall (6ft 7) and weighing in at an impressive 126kg, which is almost 20 st! but is still 20kgs lighter than Atonio. Definitely not a French player, Skelton was born in Auckland, New Zealand, but plays for Australia having moved with his family to Sydney at the age of 10. Though smaller than his younger brother, Cameron – also a rugby player, Will weighed a mighty 150kg while still a teenager (his playing weight is now 140 kg or under), and he wears a size 18 to 19 boot which he has specially made. At 6ft 8, he’s the tallest on our list with an impressive weight of 140kg to carry around the park. Born 21 July 1970, Bill is a former professional rugby union player. 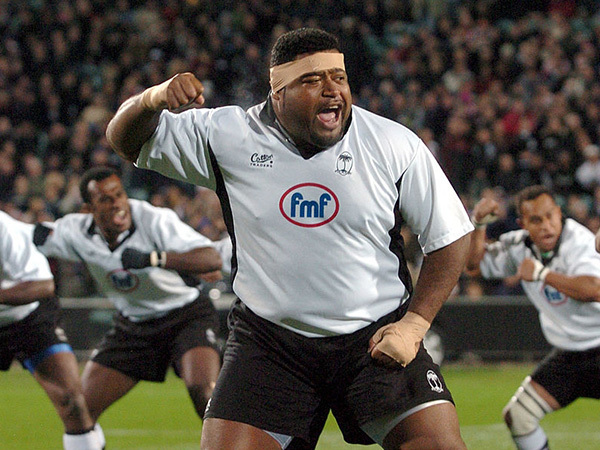 He played for Fiji in the 1990’s and his position of choice was tighthead prop. Cavubati’s claim to fame is that he is the heaviest player ever to receive the honour of an International Cap, weighing in at a massive 165 kg (364 lb, 26 st 0 lb) or two Keith Earls! Two! If any of the above players graced our restaurant we would have to make sure to have an ample selection of steak available. Our Cote du Boeuf is made for two but we feel that, in this instance, special arrangements might have to be made to feed such a hungry pack of players. Saying that we have been lucky to welcome the Argentinian Rugby Team to our restaurant before, and would relish the opportunity to give the French team a good grilling for a full ASADOR experience. & the History of Barbecue Meat. Our focus is on another part of the world, Argentina. The mid-nineteenth century. Gauchos. This is where our story begins. These ‘Cowboys’ would roam the pampa region of Argentina, managing their herds, travelling across vast areas of land in search of fertile feeding ground for the cattle or horses. These herds would have been vast by any man’s standards and a long hard day in the saddle would need to have been followed by a good hearty meal. The Gaucho’s, the original South-American frontier men (and national symbols in Argentina, Uruguay, and Brazil) had developed a fondness for beef, especially asado, which is roasted beef (can also be goat, or lamb). The cooking of the meat would take place over a slow-burning fire using quebracho, an indigenous wood which smokes very little, but imparts a wonderful flavour to the meat. Typically, the men would prepare the meat by skewering a side of ribs on to a metal frame. This frame is known as an Asador. Left to cook slowly the meat, once ready, would be washed down with maté tea. 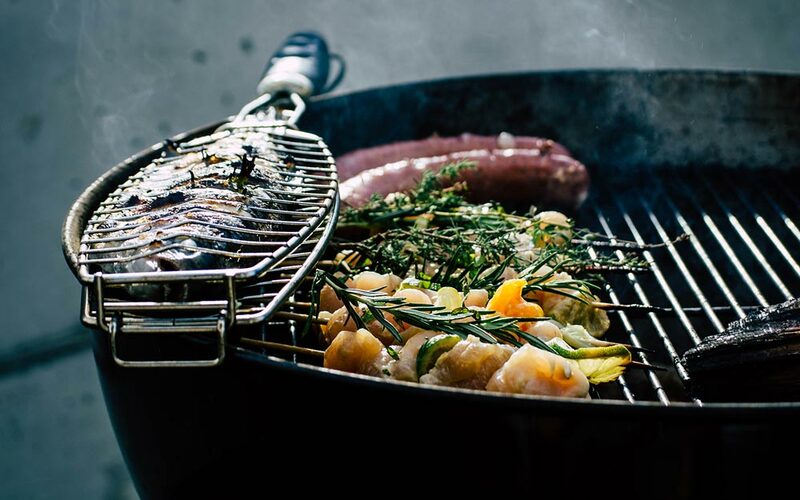 Nowadays, Barbecue is paired with whiskey, wines, and all manner of beers. This is something we, at ASADOR, pride ourselves on. Knowing the flavours of the meat, and finding the right liquid to pair with your meal, whether it’s beef, lamb, chicken, fish or game. Our front of house team knows their fillet from their flank. The Asador has evolved and developed over the past hundred years, but the process still remains the same. Food, cooked over hot coals, ensuring the meat is charred on the outside but maintains its succulence on the inside. Locking in all that flavour. At Asador, we pride ourselves on being a celebration of barbecue food. We curate the best and most inspiring recipes from South America and the Mediterranean to design menus that showcase this ancient art of cooking. It’s evident from our menus that much of our inspiration comes from the Mediterranean, we have travelled across southern Europe and dined with, worked with, and researched the best chefs in Portugal, Spain, Italy and Greece to understand the methods used by some of the world’s greatest outdoor chefs. 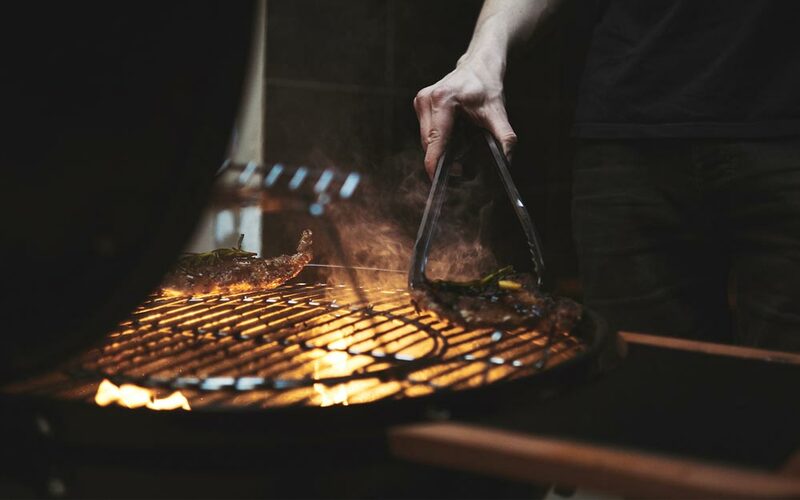 Our name, ASADOR, and our message ‘The Art of Barbecue Food’ are symbols of the authentic nature of our restaurant, to remain true to this ancient ‘art’, taking inspiration from something started on the grasslands of Uruguay and Argentina and finished on a dining plate in our Dublin 4 Restaurant. 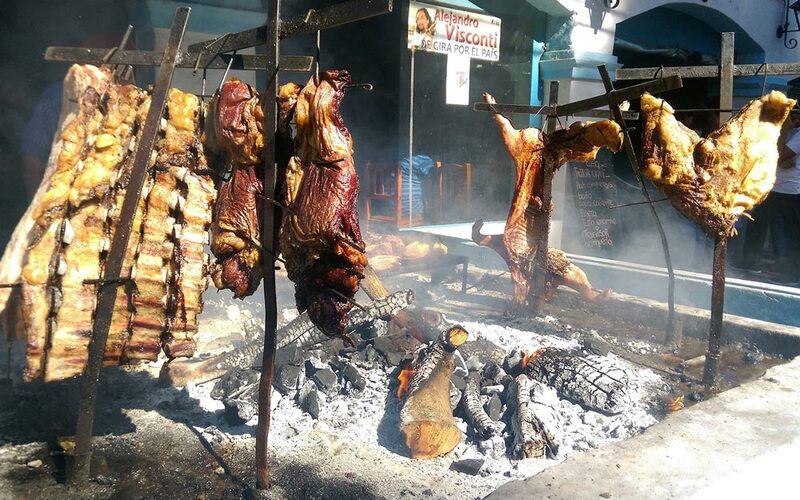 When something is said to be grilled ‘al asador’, it means that the whole animal is skewered on a cross-shaped revolving grill (sometimes referred to as an ‘asado’ or ‘asadore’) and cooked over an open flame. The countries below have developed their own style of ‘asado’ cooking, bringing a uniqueness to each region. In Chile, the normal version = cordero al palo (whole roast lamb) and is usually accompanied with pebre, a local condiment made from pureed herbs, garlic, and hot peppers; in many ways similar to chimichurri. The dish is typical of southern Chile and is served hot accompanied by salads. A whole lamb is tied to a spit and is then roasted perpendicular on a wood fire. The preparation lasts around 5 hours since cooking must be constant and on a low heat. In Brazil, asado is called churrasco, although the cooking is usually faster. Grilled and salted meat in Brazil is generally called “carne assada” and is often cut into small strips and served on a plate or cutting board in the middle of the table for all to partake. Charcoal is predominantly used instead of embers of wood, and Brazilians tend to cook the meat on skewers or grills. Parrilladas or carne asadas, incorporates various marinated cuts of meat, including steaks, chicken, and sausages like chorizo, longaniza, and moronga being especially popular. These are all grilled over wood charcoal. Vegetables are also placed over the grill, especially green onions, nopales, and corn. Our mission at Asador in Dublin is to give high-quality Irish meat the traditional asado treatment, cooking it over charcoal and wood fires in our open kitchen. While the South Americans have influenced us greatly, we have also taken a lot of inspiration from the Mediterranean style of cooking on an asador grill. We use some mouth watering mediterranean style meats such as Galician octopus, mussels with Sobrasada, sharing fish and pata negra to really bring the authenticity alive. 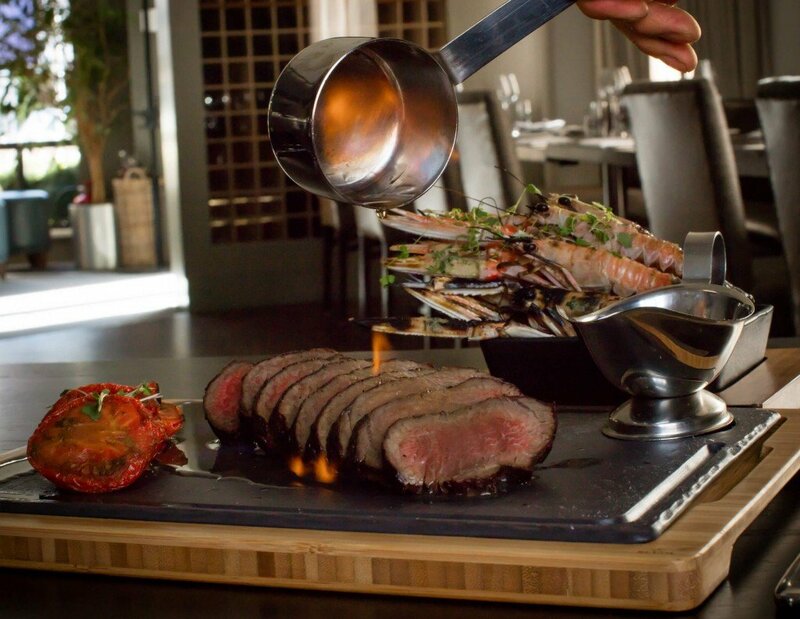 Although the meal is prepared in our restaurant rather than someone’s backyard, we stay true to our roots by using our titular grill, and we continuously look to incorporate lesser-known cuts of meat alongside our own signature fillet and Rib-Eye steaks. It’s the asado way.